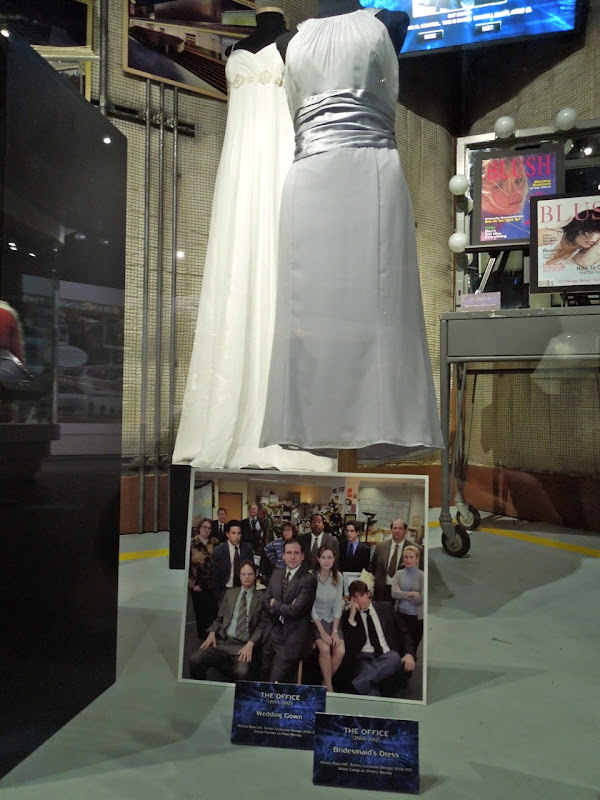 In 2009's 'Niagara', the sixth season wedding episode of the U.S. remake of The Office comedy series, 'Jim' (John Krasinski) and 'Pam' (Jenna Fischer) head to Niagara Falls to get married. 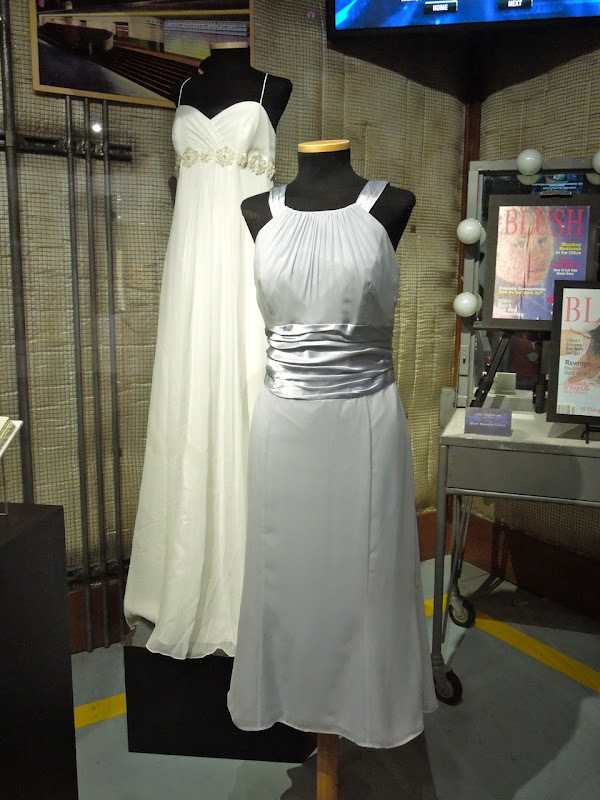 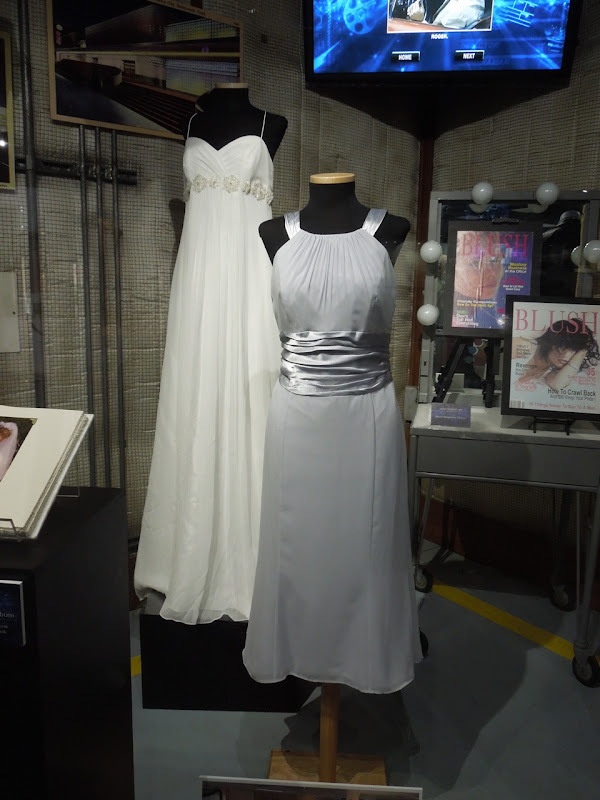 These are the wedding outfits worn by Pam and her sister 'Penny' (Anna Camp) in the episode. 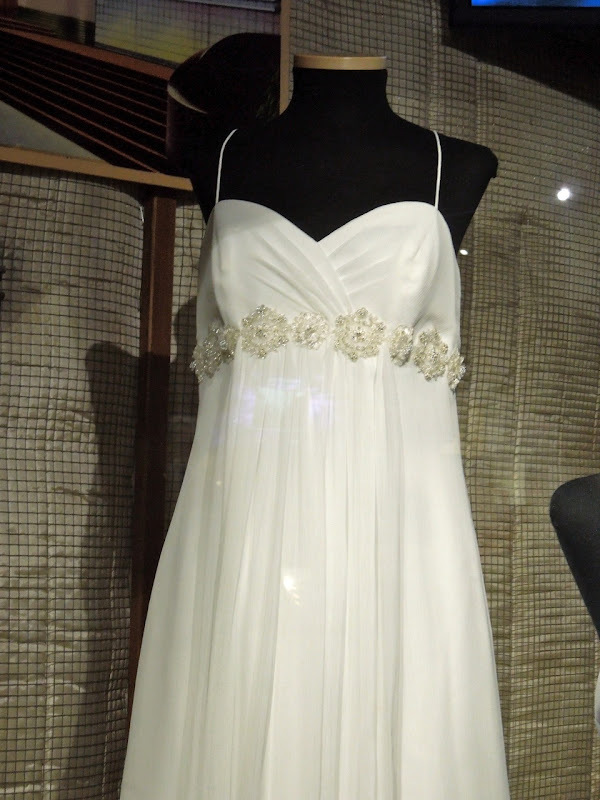 Designed by Series Costume Designer Alysia Raycraft, these wedding dresses were photographed on display at the NBC Universal Experience museum attraction at Universal Studios Hollywood on April 26, 2012.